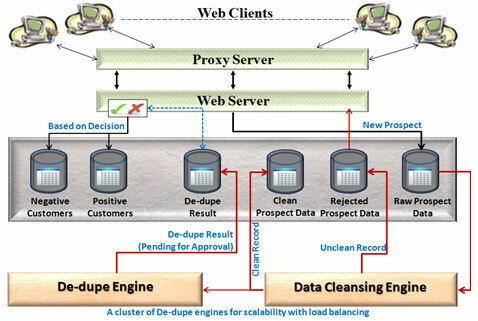 A powerful, real time enterprise solution for Cleansing, De-duping, and enriching the data. 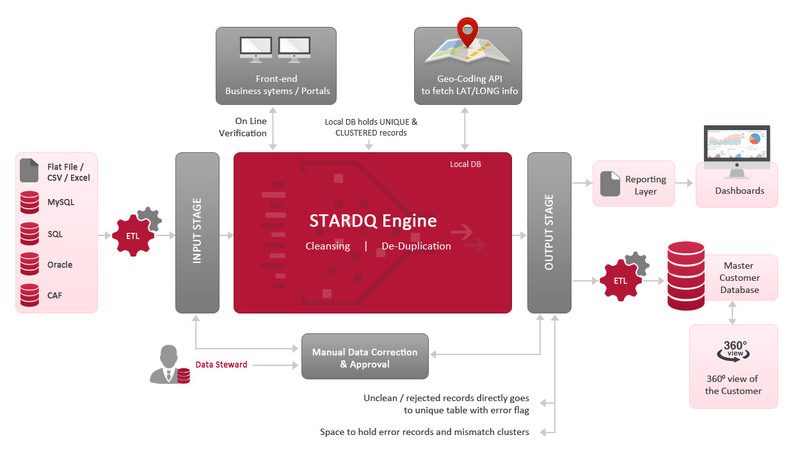 By integrating StarDQ Solution, organizations can cleanse, match and unify data across multiple data sources and data domains, to create a strategic, trustworthy, valuable asset that enhances decision making power, reduce expenses and ensure seamless customer interaction. 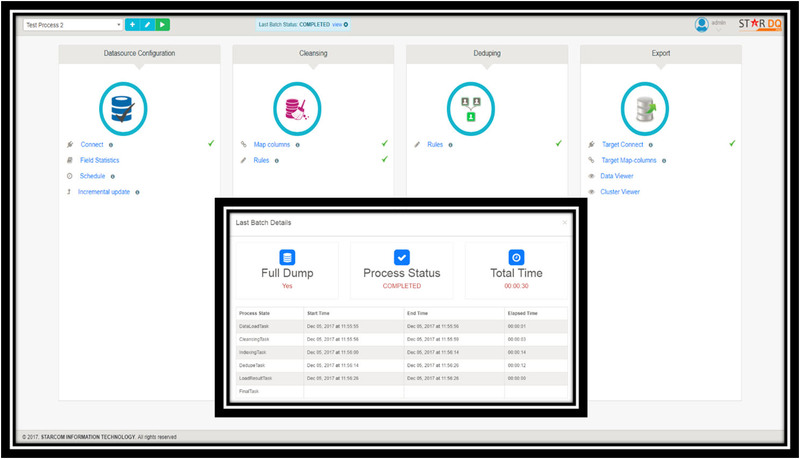 Give business users, data stewards, and IT business analysts quick access to a set of easy-to-use data integration, Reusable Cleansing & De-duplication rulesto improve the value of data efficiently. Provide self-service data access and preparation tools – and encourage business users to be self-sufficient and data-driven. Import multiple data sets from on-premise, cloud, or spreadsheet data sources – and let the software guide the prep process. Prepare data sets with a visual, interactive UI that suggests one-click fixes for inaccurate, incomplete, or duplicate data. 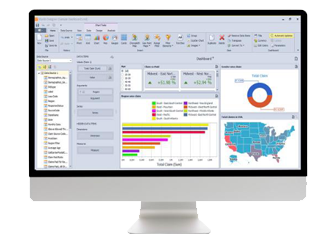 StarDQ is a powerful enterprise solution for profiling, cleansing, augmenting and standardizing the data to significantly improve returns on corporate intelligence initiatives. It can transform and combine disparate data, remove inaccuracies, standardize on common values, parse values and cleanse unclean data to create a strategic, trustworthy, valuable asset that enhances decision making power. Data cleansing can be done according to the business rules provided separately in subsequent section. Various parameters defined by administrator; are as below. Should not contain any space, punctuation mark or any special character (except given special characters). Defining default value based on other dependent value. Verify and maintain data consistency using our inbuilt lexicons (ex: if city is given, pin code can be added) or enriching components in address field (ex: bld to building, rd to road). Data validation is process to identify quality of data, and is been purified by verifying Customer Name, Address, Pin-code, Mobile / alternate contact Nos., Date of Birth, ID Proofs, email, etc. Starcom uses a system of in-house developed libraries to enrich and cleanse customer records. The libraries are built over decades of research into the Postal System and draws the information from verified and validated sources. Users have the option of directly enriching data elements using the libraries. Cleansed and Enriched data gives the business better understanding of data items and enables better and accurate service offerings. Name: First/Middle/Last, Gender, Relationship, Salutation, Nationality, Company flag, Father name, Dependant Name. Address: Door No, Street/Main/Block, Nearby location, City, State, Zip Code, STD Code. Others: Fixed Line / Mobile, Email, Date format, DOB, Marital status, Identity Proof, Appending additional info, Standard length. De-duplication is the process of matching and merging for the purpose of removing duplicate records, especially customer related records. This contributes to achieving the single view of the customer. 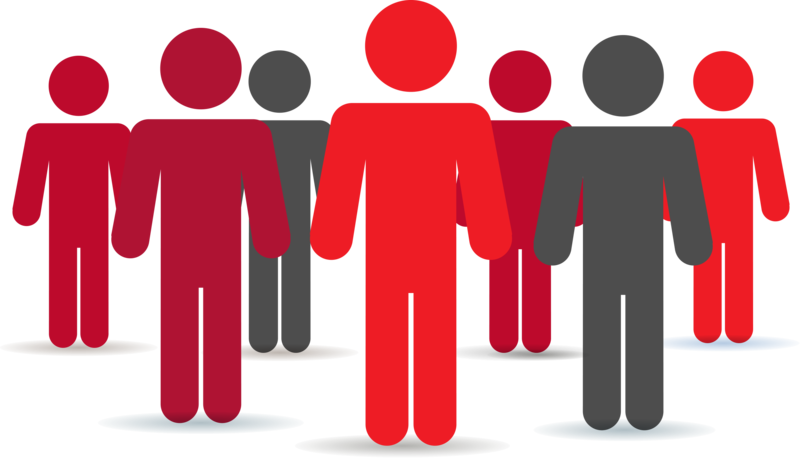 Householding is the process of matching customers belonging to a group, usually identified by the same address. 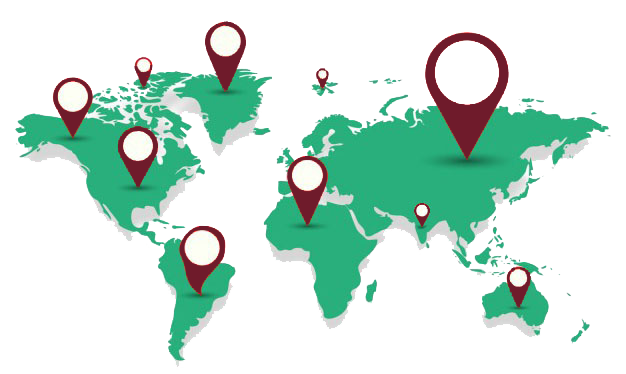 Customer names are not merged; however, they are linked to the address that is stored once. The benefit of householding is the improved ability to understand and target related customers. Our StarDQ-Pro extracts and analyzes identities, represented by names and/or addresses. Incorporating cutting edge search technology and applying innovative and powerful algorithms to find inexact matches in names and/or addresses along with ID Proof, Address Proof, Date of Birth, and Email ID which are optional parameters. 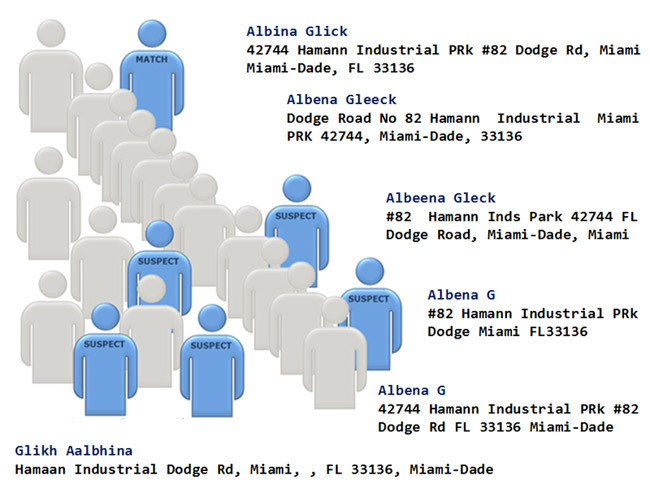 Batch De-duping: Full historical data of customer profiles can be processed and results shared. This process can be done on entire data from scratch to create master Unique and Master dupe tables. As this is a major activity, it may require a minimum of three iterations of DEDUPE process with different threshold parameters. The results of the each iteration exercise is helpful in finalizing the standard threshold percentage to be set for the MASTER Database. Thereon, StarDQ-Pro requires only the periodical incremental data in order to compare the same with the Master Database. This expedites the process and deliver immediately instead of redoing the Full Historical Data, a fresh every time. Incremental Batch Process: The Incremental Data can be extracted either from Flat File which is placed in FTP location or directly from source database. 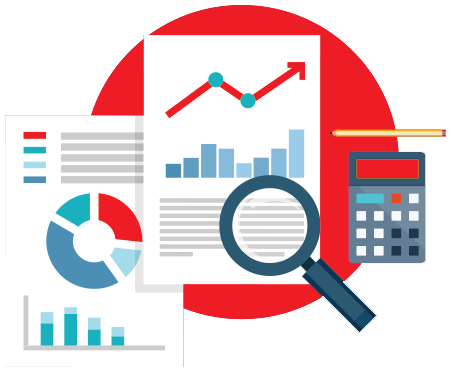 The extracted incremental data can be compared with MASTER Data to find any duplicated records already existing with the same customer profile. Incremental Online Instant Process: End-user has the option to provide Incremental Data on-line by either data-entry for each customer detail or uploading excel file. Soon after submitting the data, our StarDQ-Pro Invoker will initiate the de-duping and display the matching customer record with the count of cluster members details on a real time basis. Improve brand penetration by enabling stronger identification of cross-sale opportunities. Support effective tactical and strategic decision making through more accurate analytics. Increase revenues through knowledge that could not otherwise be realized. 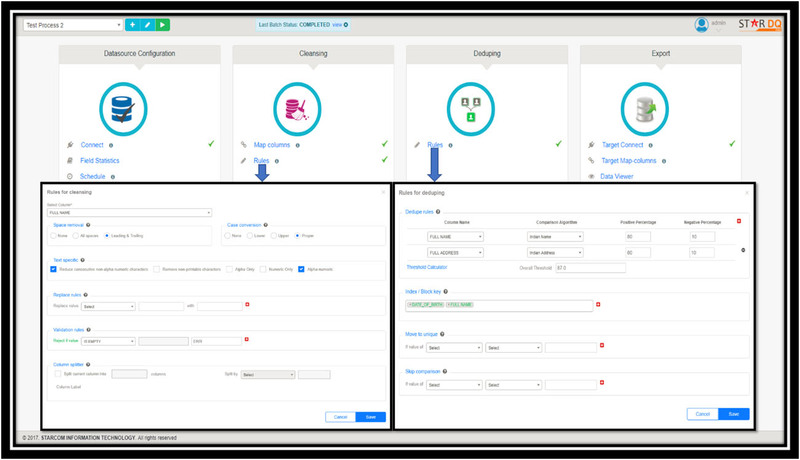 Single view of the customer: Better call centre throughput for outbound lead solicitation calls. More strike rate and reduced call times. Less bad debts and improved customer receivables recovery with the support of call center who are empowered with better customer data. 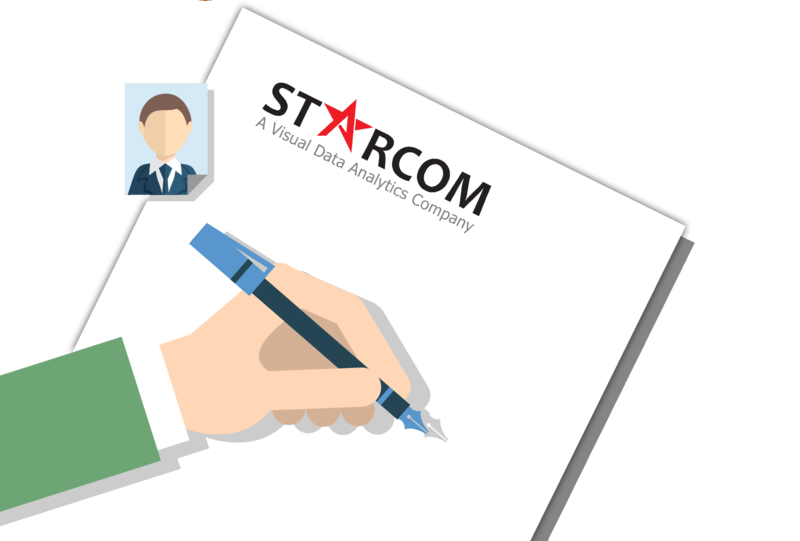 Starcom Data Quality Solution, StarDQ, is a powerful, real time enterprice solution for Cleansing, Profiling, De-duping and Monitoring data. With StarDQ, organizations can create a strategic, trustworthy, valuable asset that enhance the decision making power.